Insulin Potentiation Therapy (IPT) was developed for the treatment of human disease by Donato Perez Garcia, Sr., M.D. (1896-1971) in 1932. A surgeon lieutenant in the Mexican military establishment, this man’s preliminary work with insulin involved an innovative course of self-treatment for an emaciating gastrointestinal problem he had suffered from for years. All previous treatments had failed to resolve it. When he first learned of the then newly-discovered hormone insulin for treating diabetes, he noted that in addition to diabetes it was also indicated for the treatment of non-diabetic malnutrition. So he decided to try it on himself. The treatment was completely successful, his symptoms disappeared and his weight became normal. Reflecting on his experience here, Dr. Perez Garcia considered that the insulin had helped his body tissues assimilate the food he had eaten. He then went on to reason that perhaps insulin might have a similar effect to help tissues assimilate medications. The first successful treatment of cancer with the therapy happened in 1947 when Dr. Perez Garcia treated a patient with a squamous cell carcinoma of the tongue. 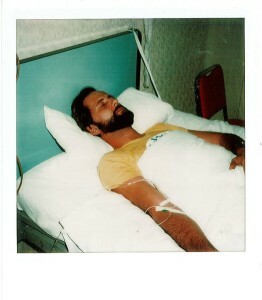 This patient subsequently survived – disease free – for another thirty years. Numerous other cancer cases followed, with many startling responses – particularly in patients with newly diagnosed, and previously untreated disease. There had always been much criticism and controversy surrounding Dr. Perez Garcia and his treatment – fed no doubt by some professional jealousy. The addition of the issue of cancer only served to harden the feelings of many of Mexican physicians against him. 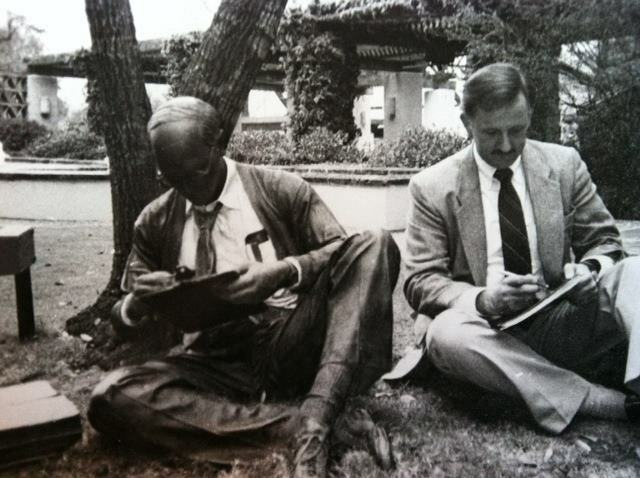 In 1955, Dr. Perez Garcia’s son – Donato Perez Garcia y Bellon, M.D., graduated from medical school, and joined in working with his father at his clinic in central Mexico City. Together father and son continued to expand the applications of IPT to more and more different diseases and, as before, continued to produce remarkable clinical results. And, as with so many medical innovators before them – the likes of Ignacz Semmelweis and Louis Pasteur – the excellence and unorthodoxy of the Drs. Perez Garcia earned them nothing but rejection from their peers. In one instance this censure came to an extreme. A senior medical student who had been told by his professors of the evils of the Drs. Perez Garcia came to confront the two in their clinic, brandishing a pistol with the intention of killing them both for the disgrace he believed they were bringing down on the Mexican medical profession. There were some dramatic moments that night, a grappling struggle for the gun, it went off – leaving a hole in the ceiling. After subduing him, the Drs. Perez Garcia explained and clarified their position. The young man listened and then left, bemoaning that darker side of human motivation that could create such falsehood. py. He too met with only suspicion and ridicule, and thereafter he too resolved to carry the fight to bring this truth to light. Dr. Perez Garcia y Bellon had a son himself – Donato Perez Garcia, Jr. – who earned his M.D. 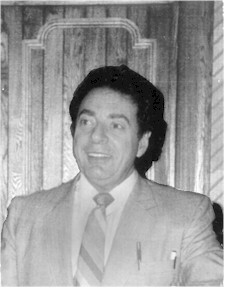 degree in 1983. In his turn, this youngest of the family namesake undertook the practice of IPT and continued the family heritage of producing remarkable clinical successes with his practice of the therapy. Dr. Perez Garcia, Jr. took himself and his family north to Tijuana after several years of partnership with his father and, is practicing there to the present. After his visit to Mexico, Dr. Ayre set about trying to develop an appropriate scientific basis for what was empirically being observed with his friends’ practice of IPT in Mexico. He realized that trying to create some credibility for a cancer cure from Mexico was like trying to make a silk purse out of a sow’s ear – which everyone knows is impossible. He sustained himself by personally adopting the credo that things which are impossible take just a bit longer to accomplish than those which are simply difficult. Meanwhile, Dr. Ayre continued with his efforts to develop a scientific basis for IPT. By 1990, he had four articles published in the peer-reviewed medical literature, he had presented his scientific theories about IPT at a number of national and international conferences, and had even undertaken two animal studies on the unorthodox actions of insulin on biomembranes. Through all this time, Dr. Ayre remained ever cautious, controlling his urge to just go ahead and practice IPT. The precedent of his colleague’s fate was enough to dissuade him from going further. The Drs. 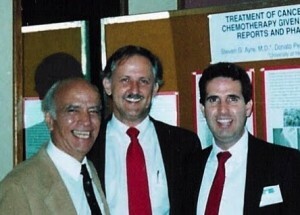 Donato Perez Garcia y Bellon, Steven G. Ayre and Donato Perez Garcia presenting at MD Anderson in 1989. Next, by virtue of the concerted efforts of the MD Anderson people, an invitation was extended to the trio of IPT doctors to present the scientific background on IPT, and some case presentations from the clinical work done in Mexico. This presentation was made at the National Institutes of Health, Office of Alternative Medicine POMES conference in August of 1997. Another invitation was extended to the Drs. Perez Garcia and Dr. Ayre to make a Best Case Series presentation before the members of the Cancer Advisory Panel of the Center for Complementary and Alternative Medicine at the National Institutes of Health in Bethesda, Maryland. This presentation was made on September 20, 2000. On December 6, 2005, Dr. Ayre was invited to apply for funding as part of a Broad Agency Announcement (BAA) entitled,”NCI Best Case Series (BCS) Program: Prospective Research Projects.” While at least one project was anticipated to receive funding, the end result was that no awards were granted, and no further evaluation of the project was planned. In all likelihood, the anticipated funding did not actually materialize. During the almost eighty years of history that tells the story of Insulin Potentiation Therapy, all who have had a hand in it have held to the conviction that the therapy is a valuable thing, and that the knowledge of it should be made widely available to the medical profession. Efforts to this end continue. It has become clear that the way to accomplish the desired goals for IPT is to work quietly and diligently, treating those patients who ask for help, documenting all results, and publishing these results in medical journals. As the history of IPT unfolds, so too has the strength and maturity of its proponents. They have come to understand that it does no good to try and push the river, so to speak. The river will flow, ceaselessly, at its own pace. The Drs. Perez and Dr. Ayre take comfort in knowing that “stronger than all the armies in the world is an idea whose time has come,” and it appears that the time for IPT may now be approaching. Dr. Donato Perez Garcia y Bellon died of a heart attack in Mexico City on November 23, 2000. His passing was a great loss for the world medical community as Dr. Perez Garcia was the acknowledged master of the practice of Insulin Potentiation Therapy. His dedication to completing the work of IPT started by his late father – Dr. Donato Perez Garcia, Sr. – was total and uncompromising. He accomplished much in this regard. More remains to be done, and will be – by his son, Dr. Donato Perez Garcia, Jr., and Dr. Steven G. Ayre. This is our common dedication. Dr. Perez Garcia y Bellon will be greatly missed. Below is an audio recording of Dr. Steven Ayre recounting his memories of Dr. Perez Garcia y Bellon and his dedication and gift for healing.